Frankie Lymon was an American rock and roll singer and songwriter. Check out this biography to know about his childhood, family life, achievements and fun facts about him. Frankie Lymon, born as Franklin Joseph Lymon, was an American rock and roll singer and songwriter. He was best recognized as the lead vocalist of New York City-based rock & roll group, The Teenagers, which was composed of five young boys. With the group, Lymon released several hit singles, including ‘Why Do Fools Fall in Love,’ ‘I Want You to Be My Girl,’ ‘I Promise to Remember,’ ‘The ABC's of Love’, ‘I'm Not a Juvenile Delinquent’, ‘Out in the Cold Again’ and ‘Goody Goody.’ As a solo performer, the roll and roll singer contributed to several albums. Some of his hit albums were: ‘Frankie Lymon and the Teenagers’, ‘Frankie Lymon at the London Palladium’, ‘Rock & Roll with Frankie Lymon’ and ‘Complete Recordings (Bear Family).’ Lymon, who started using drugs after his career went into decline, was found dead from heroin overdose at the age of 25. Following his untimely death, he was buried at the Saint Raymond's Cemetery in New York City. Talking of his personal life, the American artiste was a polygamist and remained married to three beautiful ladies up to his death. His musical career was dramatized in the 1998 flick ‘Why Do Fools Fall in Love’. Frankie Lymon was born as Franklin Joseph Lymon on September 30, 1942, in Harlem, New York City, New York, the USA. His mother Jeanette Lymon was a maid and his father Howard Lymon was a truck driver. Both of them were also singers in the gospel group, Harlemaires. At age ten, Lymon started working as a grocery boy to supplement his family income meet. At age 12, he became familiar with the lead singer Herman Santiago of the local doo-wop group, Coupe De Villes. Eventually, he also became a part of the group which later was renamed to The Ermines and The Premiers. The group, which was now renamed to The Teenagers, then gave an audition with American record producer George Goldner. On the day of audition, Santiago, the original lead singer didn’t arrive on time and Lymon stepped up instead and sang on his behalf. Soon after this, the Teenagers was renamed to Frankie Lymon & the Teenagers. Their album titled ‘The Teenagers Featuring Frankie Lymon’ got released in December 1956. The following year, several singles including ‘Teenage Love’, ‘Out in the Cold Again’ and ‘Everything to Me’ were released. Lymon and the Teenagers broke up while touring in Europe in 1957. 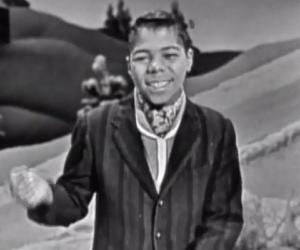 Frankie Lymon then began performing as a solo artist, releasing his singles with Roulette Record. His singles titled ‘My Girl’ and ‘Little Girl’ came out in 1957. Soon after these singles, the rock and roll vocalist released his solo album ‘Rock & Roll with Frankie Lymon’. In 1959, he came up with the single ‘Up Jumped a Rabbit.’ He released his singles ‘Little Bitty Pretty One’ and ‘Buzz Buzz Buzz’ in 1960. In the early 1960s, Lymon's career started declining. 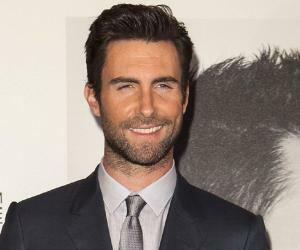 The singer became addicted to heroin use and his voice changed to a deeper baritone. After this, he released a few more singles ‘Jailhouse Rock’, ‘Change Partners’ and ‘Young.’ Later on, Roulette ended their contract with him and Lymon entered a drug rehabilitation program. Lymon then appeared at the Apollo as part of a revue. 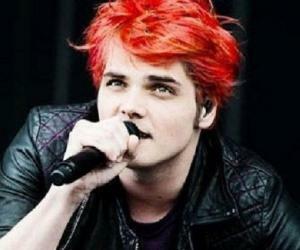 He also recorded several live performances but none were successful. Then in 1968, he was signed to Big Apple label and released his single ‘I'm Sorry’ under the label. 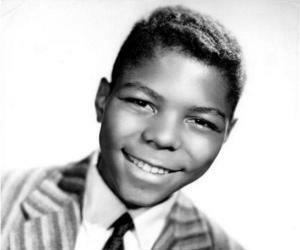 Frankie Lymon released the single ‘Goody Goody’ with the group Frankie Lymon and the Teenagers. This song, written by Johnny Mercer and Matty Malneck, was a No. 20 pop hit. His single ‘Why Do Fools Fall in Love’ was a super hit song. It peaked at No. 6 on the Billboard pop singles chart and topped Billboard R&B singles chart for about five weeks. His song titled ‘I Want You to Be My Girl’ was a hit as well and managed to impress the public. It reached No. 13 on the Billboard Hot 100 chart. In the year 1993, Frankie Lymon was inducted into the Rock and Roll Hall of Fame as a member of the group Frankie Lymon and the Teenagers. On February 1, 1994, he was posthumously honored with a Star on the Hollywood Walk of Fame for Recording at 7083 Hollywood Boulevard, California. As a member of Frankie Lymon and the Teenagers, the American vocalist was posthumously inducted into the Vocal Group Hall of Fame in 2000. Frankie Lymon began a romantic relationship with Elizabeth Waters and went on to marry her in 1964.The couple had a baby girl who died just two days after her birth at Lenox Hill Hospital. Very few people know that Lymon's marriage to Waters was illegal as she was still married to her first husband. After Lymon’s marriage with Waters failed, he started dating Zola Taylor. The duo supposedly married in 1965. However, it was said that their marriage was just a publicity stunt and there was no legal documentation of their marriage. The couple parted ways in 1968 because of Lymon's drug habits. Meanwhile in 1967, Lymon fell in love with another woman, Emira Eagle. The two got married in June 1967. Lymon was a polygamist and he remained married to Waters, Taylor, and Eagle up to his death. He was nicknamed ‘The Golden Throat’. Many lead performers, such as Michael Jackson, Diana Ross, Ronnie Spector, The Chantels, George Clinton, The Temptations, Len Barry, Smokey Robinson, and The Beach Boys have named Frankie Lymon as one of their idols.